My kids gave me this book for Christmas. I’m pretty sure they got it on the merits of the cover alone, but my wife knew I’ve enjoyed the author so she signed off on it. This is the third Augusten Burroughs book I’ve read. While we don’t share moral or faith perspectives, I have have a strong appreciation for his talent as a writer. This book is a collection of anecdotes from the author’s life, each having some connection with Christmas. There were definitely some laugh-out-loud moments, along side of some well-crafted thought-provoking observations on his life and relationships. I was particularly taken by his experience with the homeless woman who challenged him to not waste his talent and loose himself to his addictions. His honesty in his failures was refreshing. Burroughs has a conversational and engaging writing style that I really enjoy. His approach and world view may be difficult for some of those who read this blog to connect with because he is blunt about his lifestyle and occasionally uses profanity. Overall this was an enjoyable read and a fun departure from the other books I’m currently reading through. You’ve eaten too much candy at Christmas…but have you ever eaten the face off a six-footstuffed Santa? You’ve seen gingerbread houses…but have you ever made your own gingerbread tenement? You’ve woken up with a hangover…but have you ever woken up next to Kris Kringle himself? 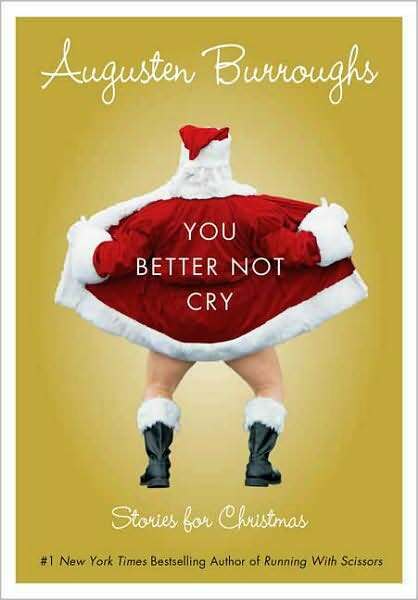 Augusten Burroughs has, and in this caustically funny, nostalgic, poignant, and moving collection he recounts Christmases past and present—as only he could. With gimleteyed wit and illuminated prose, Augusten shows how the holidays bring out the worst in us and sometimes, just sometimes, the very, very best.